Summary: This show features a special two-part conversation between TheAngryindian and Head on Radio chat-radio host and producer Bob Kincaid (@bobkincaid) discussing the tense controversy between members of the #BlackLivesMatter movement and Socialist US presidential candidate Bernie Sanders. 4WR co-producer Guadalupe Morales has taken two call-in events from the Kincaid show (11-08-2015/12-08-2015) and edited them down into one dispatch for your progressive listening pleasure. If you have not heard of Bob Kincaid or Head on Radio, here’s a good chance to find out what you have been missing! 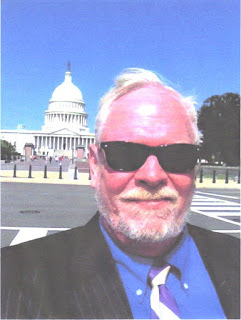 Please check him out at: [http://www.headonradionetwork.com/] and Listen Live: [http://www.headonradionetwork.com/listen-live/] And remember, independent and progressive chat needs your support! Help where you can! Waco Friends of Peace: International Progressive Radio Broadcaster Bob Kincaid – Bob Kincaid, of West Virginia, is a co-founder of the Appalachian Community Health Emergency (ACHE) campaign. His radio network has devoted more time than any other broadcast medium in educating people about the urgency of ending mountaintop removal coal mining. He has traveled world wide to build awareness of the devastating health effects on Appalachian people of coal mining pollution. Please come experience Bob’s powerful blend of progressive politics, knowledge of history, biting wit, and dedication to helping the suffering people of Appalachia.